This is a great time for voice coaches in the movies! Not since “My Fair Lady” has there been this much interest in vocal improvement. 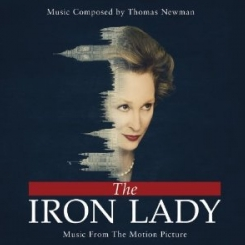 Imagine my surprise when voice coaching popped up in “The Iron Lady.” “The King’s Speech” must have started a trend (see my post, Voice Coaching Goes Hollywood). If you haven’t seen “The Iron Lady,” I’ll tell you about the voice coaching part without ruining the film for you. It seems that when Margaret Thatcher first became interested in running for Parliament, her voice was deemed a problem. “Screechy” is the word I seem to remember from the film. When she was first elected in 1959 she faced a male dominated Parliament. Her voice training was to make her voice sound more credible. In the film we see her working on finding her optimum pitch and improving the projection of her voice. Improvement in both of these areas removed much of her screechiness and gave her a voice with better vocal projection and thus more impact. Women’s voices have long been accused of being screechy. In fact, around the time Thatcher was working on her voice there was a great example of a screechy voice in Gracie Allen, the female comedian who performed with George Burns on the radio and in early TV. Listen to the quality of her voice in this clip. This type of voice was mocked as one that had little credibility. In fact, it was a joke. Fast forward to today, and I still work with female clients on finding their optimum pitch and improving their projection. Women’s voices are still being criticized in much the same way they were in the 1950’s. I’m not a social scientist so I’m not going to put forward any theories as to why, but I’d love to hear your theories. Leave a comment below. And if you want to improve your voice, whether you’re a male or female, check out the links above on projection and pitch. And if you want an in-depth discussion of these topics along with exercises for improvement, you’ll find that in my ebook, BROADCAST VOICE HANDBOOK.